As the case of a former UHP Trooper of the Year suspected of falsifying arrest reports and lying on the witness stand grabs headlines, The Tribune reveals wider problems in how UHP handles accusations of misconduct among its ranks. 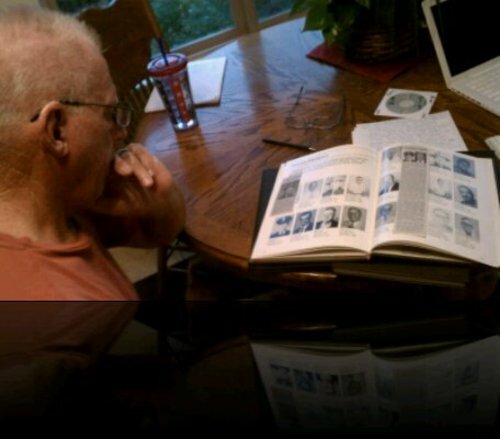 Cimaron Neugebauer | The Salt Lake Tribune Retired trooper Martin Luther Turner III looks through a Utah Highway Patrol yearbook at his home in southern Utah. Al Hartmann | The Salt Lake Tribune 3/2/10 Colonel Daniel Fuhr of the Utah Highway Patrol, left, speaks on the steps of the state capitol during a 2010 event commemorating the patrol's 75th year. 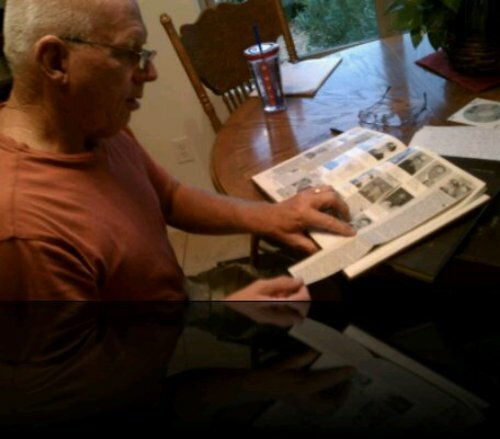 Cimaron Neugebauer | The Salt Lake Tribune Retired trooper Martin Luther Turner III looks through a Utah Highway Patrol yearbook at his home in southern Utah. Cimaron Neugebauer | The Salt Lake Tribune Retired trooper Martin Luther Turner III explains what the awards on his uniform mean at his home in southern Utah. 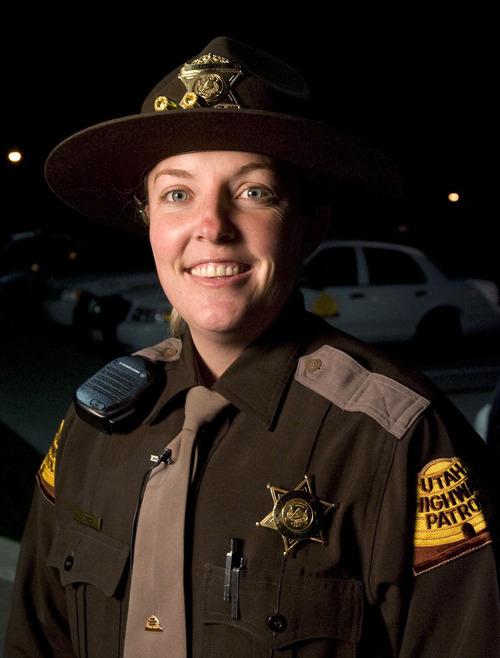 Rick Egan | Tribune file photo Lisa Steed was named the Utah Highway Patrol trooper of the year in 2007 for her many many DUI arrests. She was the first woman to receive this award. In court March 27, 2012, Steed admitted she intentionally violated the agency's policies twice during a 2010 traffic stop. 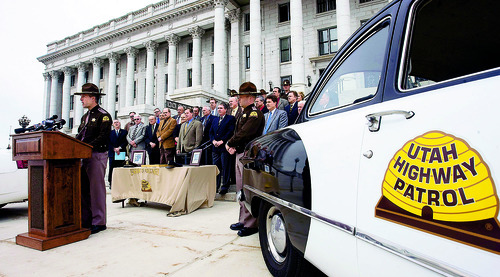 In this photo from the Utah Highway Patrol's 75th anniversary yearbook, Cpl. 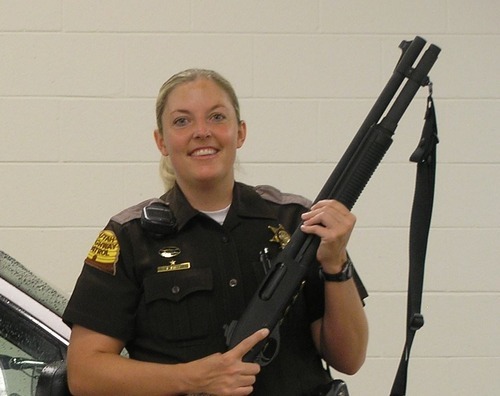 Lisa Steed stands with a shotgun. Courtesy Utah Highway Patrol Trent Nelson | The Salt Lake Tribune A trooper with the Utah Highway Patrol's criminal interdiction team questions a driver while patrolling I-80 looking for drug traffickers on March 11, 2009. Steve Griffin | The Salt Lake Tribune Utah Highway Patrol Maj. Michael S. Rapich talks at a press conference in October about Trooper Lisa Steed. The Utah Highway Patrol has begun the process of firing Steed. UHP has been investigating Steed since April, when a state judge in Salt Lake County and one in Davis County found she had been untruthful on the witness stand during DUI and drug possession cases. 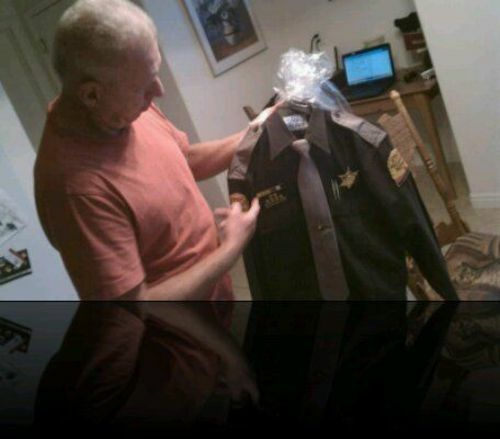 Cimaron Neugebauer | The Salt Lake Tribune Retired trooper Martin Luther Turner III explains what the awards on his uniform mean at his home in southern Utah. Some might call it burglary or, at the least, trespassing. But no criminal charges were filed against two Utah Highway Patrol sergeants who, in 2008, forced their way into a locked office at the state police academy to alter their timecards. And an internal investigation purportedly resulted in unequal punishment of the two officers. Cody N. Wilder was demoted and his wages were reduced, but Gary Caldwell received a much lighter punishment: a 40-hour suspension. "To this day, to know how Gary was treated versus how I was treated is frustrating," Wilder said in a recent interview. While the case of Cpl. Lisa Steed, the one-time Trooper of the Year who is suspected of falsifying arrest reports and lying on the witness stand, has grabbed headlines, an investigation by The Salt Lake Tribune revealed wider problems in how UHP investigates and adjudicates accusations of misconduct among its 425 troopers  a number that puts it neck and neck with the Salt Lake City Police Department to be the largest police force in the state. 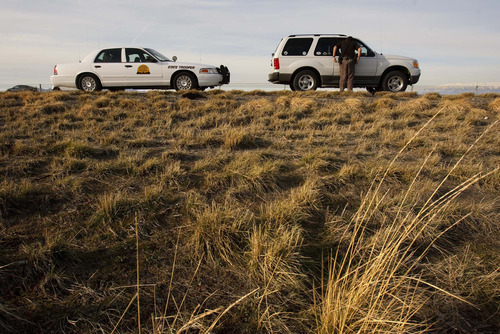 Former troopers and attorneys allege UHP is inconsistent with whom it disciplines and why. The agency also does not track citizen complaints against troopers and any outcomes the same way as many police departments in Utah and across the country do. And when citizens do file complaints, they are unlikely to learn what happened to the accused troopers. A clause in UHP policy even gives top brass at the Utah Department of Public Safety (DPS) the authority to quash investigations of the most serious kinds of misconduct. 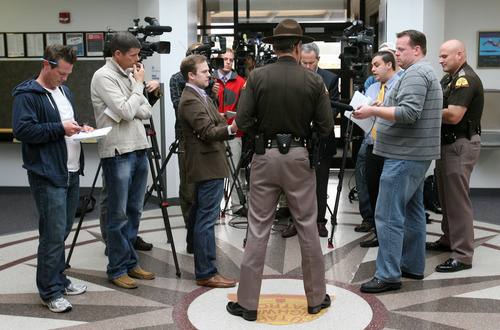 Administrators at DPS, to which UHP belongs, and UHP declined requests for interviews to discuss The Tribune&apos;s findings, but did respond in writing to some specific issues. DPS pointed out all of its policies are vetted by a corporation called Lexipol specializing in helping police departments manage risk. DPS wrote that it is policy to address all complaints. "The Utah Highway Patrol is committed to maintaining the integrity of our department and accountability to the public," a DPS statement said. "Although no system is perfect, we take all complaints of misconduct very seriously and strive to address every issue in an unbiased, professional, and timely manner." A bad search • On the night of April 20, 2011, Colorado resident Jeffrey Lawrence was driving to Las Vegas. He ran out of gas on Interstate 70 near Green River. What happened next cost the state $40,000  the amount it paid Lawrence in a settlement. UHP Cpl. Shawn Alton stopped behind Lawrence&apos;s Chevy Suburban and the cargo trailer he was towing. Alton began questioning Lawrence, including asking if the driver had drugs, weapons or large amounts of cash, according to court records. Lawrence said no and denied Alton&apos;s request to search the SUV and trailer. Soon another state trooper, Gary Riches, and Emery County sheriff&apos;s Deputy Clayton Bell arrived. They and Alton continued questioning Lawrence, according to court papers, and eventually obtained a warrant to search the SUV and trailer as Lawrence and the vehicles remained on the side of the freeway. The officers found 1 to 2 grams of marijuana and the pain reliever hydrocodone. Lawrence had prescriptions for both. But the Emery County Attorney&apos;s Office still charged Lawrence with a felony count of drug possession and three misdemeanors. The charges were dismissed after it was learned that Alton entered false information on the search warrant application, according to court records. Alton claimed he had spoken to the county prosecutor, who approved asking the judge for the warrant, Lawrence&apos;s federal lawsuit claimed. In fact, the prosecutor had told Alton he did not yet have probable cause for a search warrant. Lawrence&apos;s attorney, Greg Stevens, said Alton claimed the electronic form he completed automatically filled in a section stating the prosecutor approved. UHP paid Lawrence the $40,000 to settle his federal lawsuit alleging an illegal search, but there&apos;s another issue for Lawrence: What happened to his complaint against Alton? UHP allows citizens to file complaints against troopers through its website or in person at any UHP office around the state or over the telephone. If Alton worked for the Salt Lake City Police Department, for example, city policy says Lawrence would have been entitled to know if his complaint against Alton was sustained. For complaints against troopers of the Wyoming Highway Patrol, the complainant learns the outcome and, typically, receives a letter from a supervisor explaining why the accusation was sustained or not, said Maj. Perry Jones. But from UHP, Lawrence has received only a two-paragraph letter from Maj. Mike Rapich. "Appropriate action has been taken to address the concerns outlined in your letter dated Sept. 17, 2011," Rapich wrote. But in a hearing before the State Records Committee last month, DPS attorney Lana Taylor said Alton was not disciplined. The records committee denied Lawrence&apos;s request to see the internal-affairs report partly because Alton wasn&apos;t disciplined. The committee also ruled disclosing the report would violate Alton&apos;s privacy. The vague response to Lawrence does not appear to be isolated. UHP&apos;s written policy says complainants will be notified in writing when the investigation is completed, but says only that the letter "may indicate the ﬁndings." Stevens, whose practice includes civil-rights cases, said UHP&apos;s opaqueness is unusual. Stevens has received internal-affairs reports from police departments in Salt Lake City and Sandy just by asking for them. "In most cases," Stevens said, "they want to show you what they&apos;ve done to show you they&apos;ve been diligent." No statistics • Martin Turner was a trooper for 34 years until he retired in January. His time at UHP included supervisory roles in which he fielded complaints from the public about troopers. In a September interview, he estimated about 95 percent of complaints are a venue for people to "blow off steam" or to say they were treated unfairly but didn&apos;t want the trooper to get into trouble. When UHP started allowing complaints to be submitted through its website, Turner said, a lot started arriving from third parties. "I thought it was stupid," he said. "It generated so much unnecessary work." Turner&apos;s sentiment isn&apos;t unusual. Academics who study police misconduct have found for years that most citizen complaints are unfounded. But even complaints that in isolation are not policy violations can point to patterns. Officers may frequently be rude or engage in racial profiling of minorities, for example, said Samuel Walker, a professor emeritus of criminal justice at the University of Nebraska at Omaha and an expert on police misconduct. That&apos;s why police departments should log even unsubstantiated complaints, Walker said. Otherwise "You can&apos;t track whether particular officers have a chronic pattern." Turner said such tracking seldom takes place at UHP. If the supervisor resolves the issue with the complainant, most supervisors will throw away the written complaint, even though, according to policy, they are supposed to submit the form up the chain of command and eventually to UHP&apos;s internal-affairs investigators. But since that isn&apos;t done unless it is a major offense, many troopers won&apos;t have complaints in their file. "There isn&apos;t a log, so nobody knows," Turner said regarding the pattern of conduct. The Tribune this summer asked the DPS for statistics on how many complaints it received annually and how they were adjudicated. DPS spokesman Dwayne Baird said the department had no such figures. In its written statements this week, DPS said it can generate statistics on complaints, but doing so is "a laborious but not impossible task." DPS said it was implementing a new computer program that will make statistics more readily available. 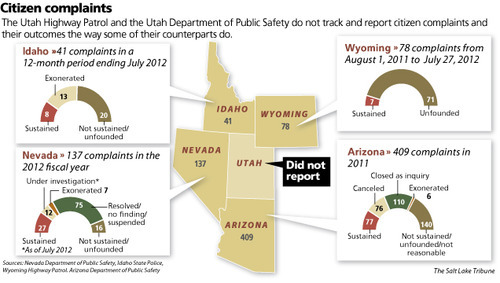 Utah&apos;s DPS counterparts in Wyoming, Idaho, Nevada and Arizona, however, supplied such statistics within days of requests from The Tribune. New Mexico and Colorado did not supply statistics. DPS reiterated its policy that lesser complaints, such as rudeness or minor violations of agency procedures, are forwarded up the chain of command for internal affairs investigators to review. UHP wrote that new software will help expedite the movement of complaints. But for those complaints that do move up the chain of command, a policy exists that can put an immediate halt to the rise. UHP&apos;s manual on complaints says: "The Internal Affairs Section shall not conduct any investigation without the approval of the commissioner, a deputy commissioner or authorized designee." Walker, who reviewed UHP&apos;s policies for The Tribune, said he has never seen a police force with a clause giving the chief executive authority over which officers are investigated. "Why would you have that?" Walker asked. "If you don&apos;t trust your internal-affairs people, you should remove them." On the whole, however, Walker found UHP&apos;s misconduct policies were sound. A review of court filings and documents obtained through records requests show the agency does discipline and even fire some troopers for misconduct. Whether the punishment is fair from one trooper to the next is another discussion. Matter of discipline • Stanley B. Fieeiki went to work at UHP in 1998, received numerous awards and had never been disciplined until August 2003, when he was arrested and charged with domestic violence against his wife. Fieeiki said his wife attacked him in his sleep and he struck her in self-defense, according to court records. He eventually was convicted of a misdemeanor. UHP fired him. Fieeiki, a Pacific Islander, claimed UHP was gentler when white troopers got in trouble. Documents attached to a federal discrimination lawsuit Fieeiki filed in 2009 discussed one case in which a white trooper was investigated for assaulting his neighbor and neighbor&apos;s wife during a hot tub party. The trooper entered a no-contest plea in abeyance to the criminal charges against him. UHP suspended him for 10 days. Another trooper, according to the court documents, had multiple domestic assault or violence cases but was given only a letter of reprimand. The Utah Antidiscrimination & Labor Division found UHP discriminated against Fieeiki and awarded him more than $46,600 in lost wages and benefits from November 2003 to October 2007. The division also asked that Fieeiki be immediately reinstated to his position with no loss of pay. UHP appealed the decision and the case went to federal court. The case was dismissed in 2011, and UHP paid Fieeki an undisclosed amount in a settlement. Turner contends Steed is an example of UHP picking and choosing whom it investigates and disciplines. Near the end of his career, Turner worked at UHP offices in Salt Lake County and was the intermediary between troopers, including Steed, and prosecutors. He said UHP was long aware Steed was submitting false arrest reports but chose not to discipline her. Turner had his own problems with UHP investigators. Last month he was charged with one count of wrongful appropriation, a class A misdemeanor punishable by up to a year in jail. Turner, 65, denies any wrongdoing. The charging documents say that West Bountiful police Officer Thomas DeCarlo had a radar gun and Taser that belonged to UHP. DeCarlo, a former state trooper who UHP fired for driving too fast through an accident scene and multiple violations of the agency&apos;s attire policy, according to documents, said Turner had given him the equipment and never made any attempt to retrieve the items. Turner told an investigator he hoarded UHP equipment and that the UHP office in Salt Lake County did not keep good inventory. A great agency • The two sergeants UHP accused of breaking into the police academy office to alter timecards each had distinguished careers. Caldwell served on the American Fork Police Department and retired as a lieutenant before going to work for UHP. 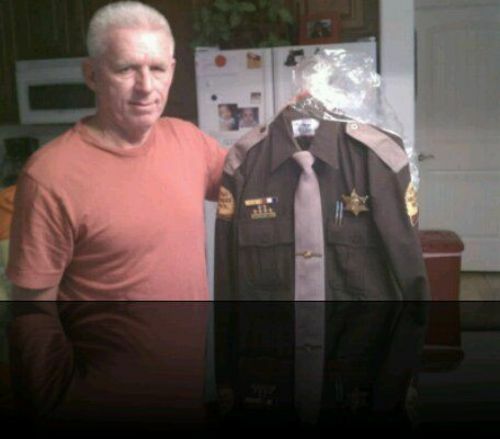 Wilder&apos;s father retired from UHP after 27 years. The younger Wilder won awards at police motorcycle competitions around the country and instructed other troopers on motorcycle riding. As Wilder explained it, when the state police academy moved to its new campus in Sandy, he and Caldwell were supposed to have keys to an office that kept their timecards and other documents. But they never received the keys. Then Wilder and Caldwell learned UHP was investigating a discrepancy on their timecards. The secretary with the key was out of town, so Wilder used a credit card to slip the lock past the latch and open the door. Caldwell walked in with him. Wilder altered his card to show he worked one hour less than he previously reported. It&apos;s not clear what Caldwell did to his timecard, but documents The Tribune obtained through a records request show the timecard previously showed him working on a day he was actually on a hunting trip. The disciplinary letters for the two men accuse them of criminal trespass and policy violations relating to time sheets and ethics. But Wilder&apos;s letter accused him of one additional transgression: inappropriate use of a state car. Investigators reviewed an episode from years earlier in which Wilder and other troopers had been working in St. George and Wilder drove the group in a state car to Mesquite, Nev., to gamble. Wilder said he was the designated driver. Wilder said troopers took such trips regularly. He had been before with superiors. He&apos;s not aware of any of the troopers who made the trip with him being disciplined. "They were just looking for anything to pin on me," Wilder said. "That&apos;s all I could gather." While in Mesquite, Wilder&apos;s cellphone fell out of his pocket. He didn&apos;t realize he lost it until he returned to St. George. Wilder and another trooper returned to the casino to fetch the phone. On their way back to St. George the second time, the troopers came upon a serious crash on the short stretch of Interstate 15 crossing through Arizona. Wilder said he applied pressure on a wound to stop a woman from bleeding to death. UHP gave Wilder a commendation for the act. But for the Mesquite trip and entering the police academy office, Wilder was demoted two steps down from sergeant to senior trooper, but only had a 14-cent per hour salary cut. In its written statements, DPS acknowledged it disciplined Wilder for a trip it earlier recognized with an award. "Our department not only disciplines for misconduct, it also recognizes exemplary performance," DPS wrote. The letters sent to Wilder and Caldwell display a dramatic difference in tone. Lance Davenport, who in 2008 was the commander of UHP and has since advanced to commissioner of DPS, wrote to Wilder that his actions "betrayed the trust" of his supervisors. He went on to say that Wilder&apos;s "lack of judgment and unprofessional behavior reflects poorly on the department." In his letter to Caldwell, Davenport wrote he appreciated the manner in which Caldwell approached the situation and his "honesty and maturity" during the investigation. He also said he had no doubt in Caldwell&apos;s ability to have a positive attitude and ensure the addressed issues won&apos;t happen again. Wilder quit shortly after his demotion. He now is a general contractor and a reserve officer with the Perry Police Department. Caldwell retired in January 2011 and died seven months later from complications after coronary bypass surgery, according to an obituary. "Patrol&apos;s a great agency, don&apos;t get me wrong," Wilder said. "I just feel my investigation was unjust."